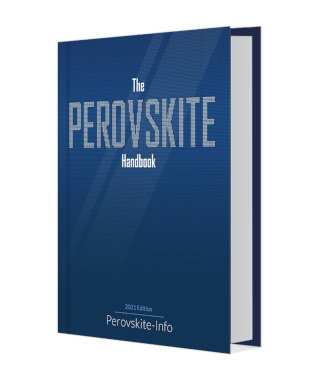 The Graphene-Info team takes pleasure in recommending our new book - The Perovskite Handbook. While not focused on graphene, we believe that any person interested in advanced materials and emerging technologies would find that perovskite materials are an area of focus that should not be ignored. This book gives a comprehensive introduction to perovskite materials, applications and industry. Perovskites offer a myriad of exciting properties and are considered the future of solar cells, displays, sensors, lasers and more. The promising perovskite industry is currently at a tipping point and on the verge of mass adoption and commercialization. The graphene industry should especially pay attention to perovskites as much work is done on combining these two material technologies to create better solar cells, displays and more. The book also provides: a history of perovskite research, a guide to perovskite companies and developers, information on leading collaboration and development projects, a comprehensive list of perovskite companies and much more! Will Perovskites be the future of solar cells, batteries, sensors, lasers and displays?